How to start a Paleo Diet? Can You Eat Rice on the Paleo Diet? It's a type of diet that's presumed to what our early ancestors (the hunter-gatherers) have been eating. In it's simplest definition, the Paleo diet avoids cereal grains, sugar and processed food (more information on this below). A lot of "paleo diet experts" have mentioned that the Paleo diet is one of best ways to eat because this dietary approach is how our bodies were really designed to consume food. 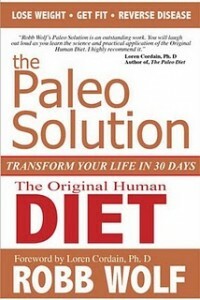 The idea behind the Paleo diet was simple. Eat like how our ancestors ate, and lose weight. In 1987, Dr. Cordain has stumbled on Boyd Eaton's (M.D.) scientific paper entitled: Paleolithic Nutrition: a consideration of it's Nature and Current implication. He learned from this paper that Cereal grains were not consumed or even rarely eaten by our ancestors who were not relying on agriculture (the pre-agriculture era). His research has led to a collection of more than 25,000 scientific papers on what our pre-agricultural ancestors ate. And by 1999 launched his career in the Paleo diet when he published his Scientific journal titled: Cereal grains: Humanity's Double Edged Sword. The Paleo Diet definitely has the potential to be healthy. But if you're mostly consuming egg, bacon and steak daily without enough fruits and vegetables, then you'll probably be doing more hard than good. Our pre-agricultural ancestors or hunter-gatherers would eat what's available in their environment. And it would not be bacon or meat everyday. Usually, they'll forage and pick fruits and vegetables which would be more readily available in their environment. The experts are​ also recommending that it's best to choose quality over quantity. Balancing your plate with whole foods is the best way to go. There are numerous studies both in personal and scientific researches on the benefits of a Paleo diet. The most notable benefits observed includes losing weight, reducing allergic reaction, having more energy to do workouts, balanced energy throughout the day, stabilized blood sugar levels, decreased pain from autoimmunity, clearer skin and stronger teeth. 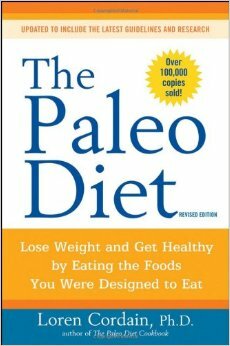 The great thing about the Paleo diet is that there's tons of scientific research about it. Dr. Cordain alone has read 25,000+ papers about it and has written numerous papers as well. Now that we've laid out the foundation about the Paleo Diet, it's time to get started. And let's start with what can you eat on this diet. Healthy fats and oils like extra virgin olive oil, avocado, coconut, and flaxseed. Beverages like water, almond milk, tea, green smoothies, green juice and coconut water. The very first thing that you'll need to do if you want to try Paleo (try it for 30 days) is to CLEAR YOUR PANTRY AND KITCHEN with stuff that's NOT PALEO (refer to the guide above). Having loaves of bread and pieces of bagel on your fridge won't help you transition into the Paleo diet. We all know how hard motivation can be, so while you're motivated to try Paleo, clear out all the "bad" stuff and make your fridge, Paleo-friendly! My favorite part is buying new foods that are Paleo-approved. Remember, it's quality over quantity. If you're choosing beef, check if it's grass-fed beef. It's slightly more expensive, but you can be sure that they are not eating "cereal grains" which we are trying to avoid. Now it's time to cook. But you don't know how. For starters, choose your favorite meals and Paleo-approved them by replacing non-Paleo ingredients with Paleo stuff. Instead of Soda, try a herbal tea or matcha teas. Your journey into Paleo won't be possible without getting enough rest, sleep and exercise. Do you love counting calories? I don't. Instead of counting calories for each food I ate, I'm choosing more whole foods for my body. And my body thanked me for picking that choice. One of the biggest challenges in this diet is when you're NOT motivated enough, you'll quit. Avoid that by taking each step and transition in baby steps. Focus on the future and goal that you'd like to achieve. And the best way to avoid relapse and quitting is in the next page below. No caveman was alone. It would be best if you would go on this journey with someone. You need support and encouragement in this journey. Get a mentor. Join a Community. Be accountable. Sign up for a Paleo Quickstart Program. The first rice crop dates back into ancient China at around 2500 B.C. It's a staple food in China as well as other Southeast Asian Countries. It has become a staple food because it's cheap, easy to produce, and it's a great source of energy (carbs). You might have also heard that brown rice is better than white rice. Although brown rice is the unprocessed and unrefined version of rice, the danger comes with phytic acid present in brown rice. Phytic acid is not digestible to humans and it also blocks the body's ability to absorb vital nutrients. Som﻿e research shows that fermentation can help degrade phytic acid which is a great way to degrade the phytic acid in brown rice. It is not hard to ignore that there are some similarities between the Paleo Diet and the Atkins diet. The Atkins diet is a low-carb diet that will help your body lose weight. This was the goal of the Atkins diet when Dr Atkins released his book, the Diet Revolution in 1972 and the New Diet Revolution in 2002. The similarities between the Paleo diet and Atkins is that there are some overlap between foods that are recommended like eating meat, fruits, vegetables and fats. ​But the Atkins diet is more of a weight-loss program, while the Paleo diet is a geared towards optimal health. Another big challenge of the Atkins diet is that it requires that you count calories especially carbs which should be really low in this low-carb diet. There are different phases in the Atkins diet, and in the latter phases even allows for consumption of grains and white rice as long as it won't affect their weight loss. What concerns me is that in the Atkins diet, it's possible to replace high carbohydrate junk food with a low carbohydrate junk food. Choosing healthy food options can be expensive. That's why it's important to look at several money-saving tips when choosing a Paleo Diet. 1. The Paleo Diet is all about meat - Definitely not true. While the Paleo diet includes meat from chicken, turkey, beef, pork, seafoods, it's not limited to these food group. There's a huge variety of whole foods in the Paleo diet including fruits in season, vegetables and nuts. 2. 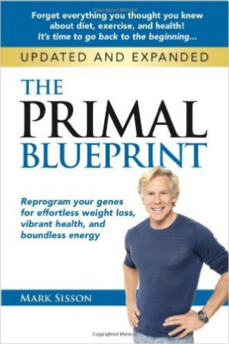 The Paleo is a "fad diet" - The revolutionary research by Dr. Cordain started in the 1980's but there's no stopping on this trend (because it has been transforming lives of numerous people). In 2013, it's the most popular diet searched on Google. because of it's popularity and impact in the lives of others. 3. Without Dairy, I won't get enough Calcium - Cows are not the only sources of Calcium, in fact, a lot of people are lactose-intolerant because of the protein Casein found in Cow's milk. ​You can get Calcium from plant sources like Kale, Spinach, and other Dark Green leafy vegetables. You can also get it from canned fish like mackerel, salmon and sardines. You can buy a half cow and split it with neighbors of family - Buying a half cow or buying meat in bulk will be significantly lower than buying in smaller amounts. Split the costs and meat with your neighbors and friends. Buy local - by doing this, it's usually cheaper than when you buy meat outsourced from other countries. You'll also help support the local farming industry. Look for coupons, deals and savings - Big retailers are usually giving out coupons and deals all-year round. Make sure that you have them handy or you know when the deals would be coming out. Get rid of unnecessary expenses in your life - Are you spending too much on the Big Box (TV)? Maybe it's time that you cut out on cable TV and other unnecessary expenses. Purchase frozen veggies instead of buying them fresh - This is mostly for fruits and vegetables that have been frozen fresh. This is also a great way to enjoy your delicious fruits and vegetables that are out of season. Buy in season, and buy organic whenever it's possible - Buying in season will dramatically lower it's costs because there's more supply. But choose organic only when it's feasible and it makes sense. Bulk in bulk at Costco warehouse. It's one of the best ways to save money on a Paleo diet. The internet is filled with tons of Paleo recipes. But if you're looking for the best Paleo cookbooks, here's the Top 10 Paleo Cookbooks for 2016. 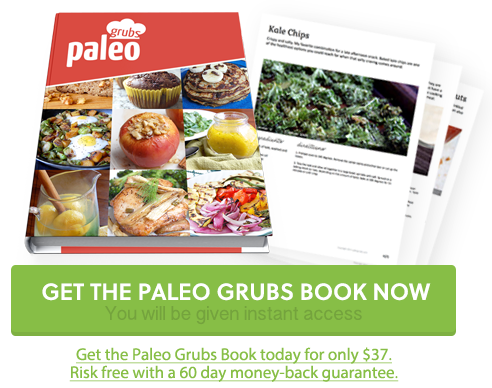 The #1 Paleo cookbook that I would recommend that you try is the Paleogrubs cookbook, with over 470+ paleo recipes, 489 pages in 17 categories. I've written a detailed review of Paleogrubs. Don't forget to check it out: My Paleogrubs Review.